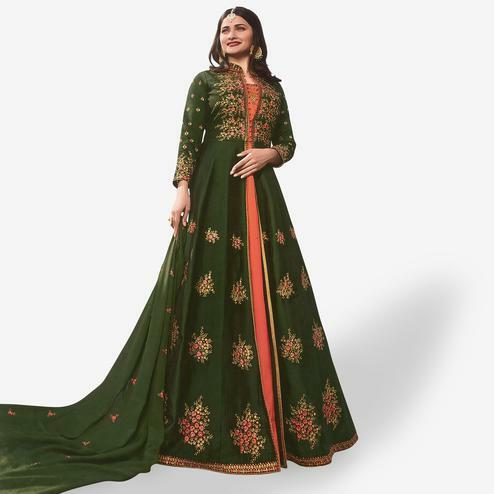 Look amazing with attachment of sea green pure georgette floor length anarkali suit. 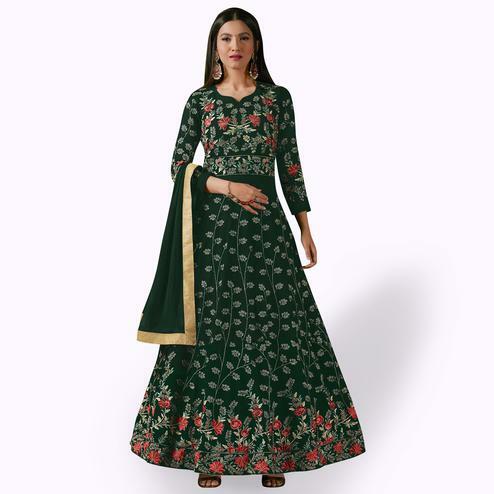 This semi stitched outfit is prettified with floral embroidery done at yoke sleeves and hemline. It's a perfect outfit to wear for parties functions & occasions. 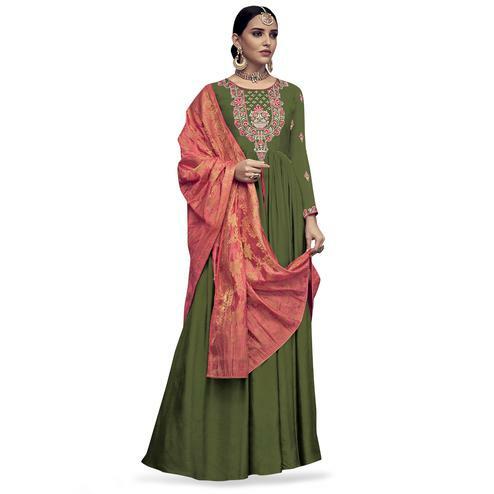 Paired with santoon bottom lining and chiffon dupatta with golden lace. Team it with ethnic accessories to make your looks more beautiful.